Any Body. Anywhere. Anytime. Any Yoga ! The association « Vidonne » created in 2012 by volunteers is the result of a common will to disseminate and propagate the benefits of yoga and more generally, the activities dedicated to well-being: Move, Breathe, Radiate (sports, food balance, etc). 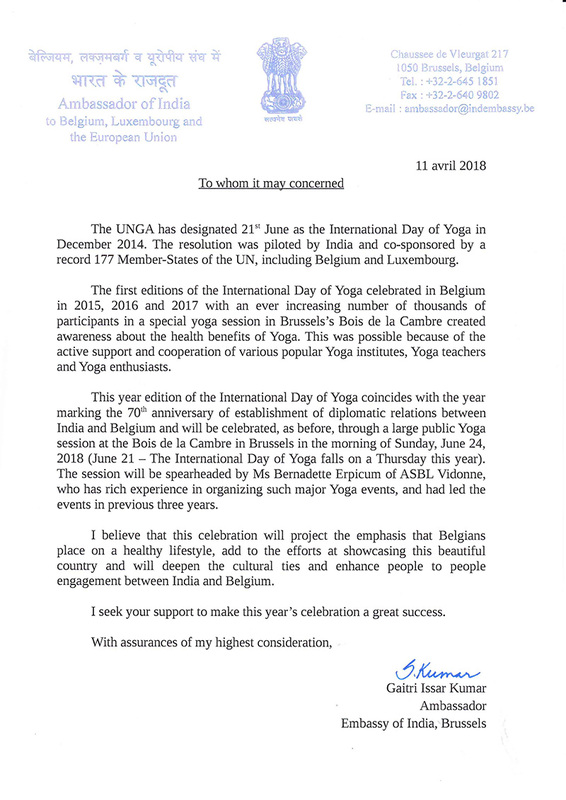 The « Brussels Yoga Day » @ International Day of Yoga aims to encourage the daily living positively. This kind of friendly, beneficial and friendly event, is also organized in all the major capitals of the world.